What’s The Good News For July 2015 in DFW? The Texas economy as a whole may slow due to the oil price collapse, but the DFW area economy remains strong. Job growth remains robust, with the DFW metropolitan area adding an astonishing 110,500 jobs in the 12 months ending May 2015, which represents an annual increase of 3.4 percent in employment. As a result of the job growth, the area’s unemployment rate has dropped 120 basis points to 3.8% over the prior 12 months, its lowest point since 2001 and well below the national average of 5.5%. 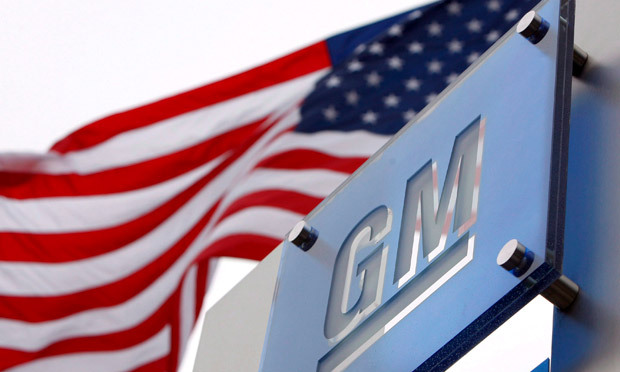 In its largest U.S. investment this year, General Motors announced plans on Tuesday for $1.4 billion in improvements to its Arlington Assembly Plant to help improve production of its popular full-size sport utility vehicles. The renovation and expansion will reconfigure the plant with a new paint shop, body shop and general assembly area upgrades. This is intended to expand its production capacity, since the plant already operates 24 hours a day and is the lone global facility that builds full-size SUVs for the company. It will add about 1 million square feet and 600 new jobs to the facility, over the next 3 years. In July 2015, Forbes released a report on the Cities Creating the Most White-Collar Jobs. Over the past decade, Business Services has emerged as easily the largest high-wage sector in the United States, employing 19.1 million people. Since 2004, while the number of manufacturing and information jobs in the U.S. has fallen, the Business Services sector has grown 21%, adding 3.4 million positions. Texas had both No. 5 Austin-Round Rock and No. 6 Dallas-Plano-Irving. S. builders broke ground on apartment complexes last month at the fastest pace in nearly 28 years, as developers anticipate that recent jobs gains will launch a wave of renters. The Commerce Department said that housing starts in June climbed 9.8% to a seasonally adjusted annual rate of 1.17 million homes. All of that growth came from a 28.6% surge in multi-family housing that put apartment construction at its highest rate since November 1987. Nationally, starts for single-family houses slipped 0.9% last month, while housing starts in the South were up 1.1% month-over-month and were up 10% over June 2014. Officials have broken ground on the Town of Flower Mound’s first hotel, a Courtyard by Marriott. The hotel will be part of the River Walk at Central Park mixed-use development area and will be five-stories with 146 guest rooms, 39 of which will include balconies overlooking the River Walk. It is expected to be completed by mid-2016. Fairway Drive, commonly known as the Dam Road, reopened to motorists Friday, July 17th! Taking a vacation is the most relaxing way to notably increase your productivity at work. Giving yourself a break is a proven productivity strategy that allows workers to decompress so they don’t become overwhelmed by stress. So why not really make the most of your time off? If improved productivity is one of the end goals, these vacation destinations will inspire you to hit the ground running when you get back to the office. Historic Landmarks of Washington D.C.
Talk about a source of inspiration. The amazing feats our forefathers were able to accomplish will make any goal seem more attainable by comparison. As will to amazing monuments and museums that have been built to commemorate the greatest moments in American history. Washington D.C. is also the most productive region of the country — just kidding, but really — seeing all those hard-charging pages could be the spark you need to tap into the passion that led you down your own career path. Burnout is often the source of productivity angst. Decision fatigue is a real thing that can drain your energy and make progress near impossible. Planning a vacation can seem like work in and of itself when a million decisions have to be made about where you’re going, how you’re going to get there and what you’ll do once you make it to your destination. An all-inclusive resort or cruise to the Bahamas is the perfect solution for depleted decision makers. All you have to do is choose the resort or cruise and just about everything else is handled for you. When you take this type of vacation you don’t have to organize schedules or make arrangements. It gives you the refreshing sense that someone else is taking care of you. Grab a seat in the shade of an umbrella, take in the spectacular views and let the resort or cruise bring the entertainment to you. Being out in the sun and natural surroundings is an immediate productivity booster. Studies from the University of Michigan, Rensselaer Polytechnic Institute and more have shown that the sounds and sights of nature, even from within an office, can increase productivity. The majesty of the Rocky Mountains will certainly inspire creativity. The beauty of the towering tree-cover mountainside alone is a cognitive mood booster, but when you think about the men and women who carved out cities during the gold rush the area becomes even more impressive. The diverse landscape provides an array of activities from adventurous and rewarding activities like hiking a fourteener and white water rafting or more relaxing activities like lakeside reading. There’s also the added benefit of being in a distraction-free environment. Electronics can become shackles that continually add to the to-do list, slow things down and make it impossible to take a break. Out in the mountains you can go completely au natural. Ditch the laptop and grab a notepad instead. When an inspiring ONE Thing moment strikes, jot it down or just keep a vacation diary to help ease your mind. Seeing others hard at work is sometimes the motivation that you need to kick things into high gear. Metropolitans around the world are hubs for activity. The infectious feeling of importance is hard to ignore when you know millions of dollars are exchanging hands, hundreds of thousands of people are taking care of business and high rises are going up before your eyes. Libraries are naturally conducive for productivity because they are designed to increase focus. But if you visited the Library of Congress during your productivity trip to Washington, D.C. you know not all libraries are created equal. There are a number of libraries in North America that are architectural gems with much more to do than study. The Central Library of Vancouver is an amazing indoor/outdoor space that is a modern version of the Roman Coliseum. The Stephen A. Schwarzman Library in New York City is a historic landmark that has made an appearance in many Hollywood films. The José Vasconcelos Library in Mexico is a “megalibrary” with over 409,000 peaceful square feet to explore. Do you find that some vacation spots help spur more productivity than others? Share your experiences with us in the comments below or on Facebook and Twitter! Keller Williams Dallas Metro North is outperforming the area! We are closing 5.2% MORE HOMES and Selling at a HIGHER PRICE! Keller Williams Dallas Metro North – June 2015 Statistics Are In! KW Dallas Metro North is #1 in Area 41, beating its competition by double the units closed. In June we were #4 in the entire Dallas Fort Worth Metroplex. Keller Williams is dominating the market place! If you have been thinking of buying, selling, leasing or investing you want a Real Estate Company that has your best interest at heart! Fourth Of July Events For North Texas! We wish you, your family and friends a Happy and Safe Fourth of July! When: July 4 at 4:30 p.m. Fireworks begin at 9:30 p.m.
What: Free live music and family fun including pony rides, a cardboard slide derby, and water wars. Food will be available for purchase. When: July 4th at 6 p.m. Fireworks begin at 9:30 p.m.
What: Due to Meadowcreek Park’s location near a densely wooded area, the DeSoto Fire Marshal has postponed the joint DeSoto and Lancaster fireworks show. A celebration is still planned at the outdoor amphitheater located behind the DeSoto Public Library beginning at 6 p.m. When: July 4 at 7 p.m. Fireworks begin at 9:30 p.m.
What: Free live entertainment by A Hard Night’s Day and free face painting and sno-cones from 7 to 9 p.m. (First 2,000 sno-cones are free. They are $1 afterwards). When: July 4 at 5:30 p.m. Music begins at 6:30 p.m.
What: The Denton Kiwani’s Club hosts a night of live music by City Folk followed by an array of fireworks. The event is free but donations will be accepted before, during, and after the show. What: This event, presented by Friends of Fair Park, is the city of Dallas’ official Independence Day celebration. The evening will include free and reduced admission to Fair Park’s eight museums, Bellagio-style Esplanade Fountain shows, and live performances. Food will be available for purchase. When: July 4 at 9 a.m.
What: Arlington’s 46th annual Independence Day Parade begins at the intersection of Mitchell and Pecan streets, parades through downtown, and ends right back where it started. The parade is expecting more than 50,000 spectators so get there early. When: July 3 at 5 p.m. Fireworks begin at 9:35 p.m.
What: Rated as one of the top places to watch fireworks in the country by USA Today, Kaboom Town is a 30-minute fireworks show in the metroplex like no other. Live entertainment and an air show will precede the fireworks. When: July 2-4 at 1 p.m.
What: Want to beat the heat this July 4th weekend? The Museum of Nature & Science has indoor fireworks. The Electric Theater is an interactive lesson on electro-magnetism that concludes with a light show. The Independence Day presentations are free to members and general admission for non-members. When: July 3 and 4 following the last races which begin at 5 p.m.
What: Two-days of thoroughbred racing and family fun such as a petting zoo, pony rides and bounce houses. Following the races, there will be a 20-minute fireworks display and live entertainment. When: July 4 at 12 p.m.
What: BigTop Celebration is an old-fashioned Independence Day Celebration with a circus themed twist. 4thFest includes a free concert, bounce houses, a variety of free family activates, festival-style food and, of course, a fireworks extravaganza when the sun goes down. 4thFest visitors can also take a dip in Bedford’s Splash Aquatic Center for an additional fee. When: July 2 at 4 p.m.
What: Frisco Freedom Fest is a party in the heart of Frisco. The Taste of Frisco also returns this weekend with Frisco restaurants serving some of their most popular menu items. Freedom Fest will conclude with a 20-minute fireworks spectacle. When: July 4 at 9:30 p.m.
What: The City of Grapevine will be shutting down Fairway Drive for their annual fireworks extravaganza. Admission is free at most viewing locations, although some parks along Lake Grapevine may charge a minimal admission fee. When: July 4 at 11:30 a.m., first artist take the stage at 12 p.m.
What: Willie Nelson’s picnic is a Texas tradition that features a day full of country music performances. The picnic was recently revealed as a top destination for the 4th by Yahoo Travel. Tickets are $30 in advance, $35 at the gate, and are available through Ticketmaster or Billy Bob’s box office. What: Never been to the Cowboys Stadium? This year’s 4th would be a perfect time to go. Cowboys Stadium is hosting a Texas-sized Fourth of July Rally for the whole family. The event will include alumni player autograph signing, Dallas Cowboys Cheerleaders appearances and photo opportunities. Everyone wearing patriotic clothing will receive $5 off the price of a stadium tour. Parking will be free with the purchase of a tour ticket. When: July 2 at 12 p.m.
What: Shopping more your style than fireworks? Firewheel Town Center will be hosting a picnic offering area families an opportunity to play as well as enjoy live music , all located near the open-air regional shopping mall. When: July 2, 3, and 4 from 9 a.m. to 5 p.m.
What: The Commemorative Air Force B-29/B-24 Squadron will be conducting flight experiences for $595 to $1495, depending on seat location. For those not interested in flight experiecne, warbirds and vintage aircraft will be on display. There will be a $5 fee to enter the display area.